October 24 is Antonie van Leeuwenhoek’s birthday. Leeuwenhoek was a Dutch cloth merchant who became known as the Father of Microbiology. At the age of 16, Leeuwenhoek was apprenticed to a cloth merchant when he was introduced to a magnifying glass apparatus used in the business. Once he began his own drapery business, he acquired his own magnifying glass and began his investigations into the very small world around him. He learned to grind his own lenses and constructed his own microscope. Using this microscope and over 200 others, Leeuwenhoek would take close looks at common objects around him. He was responsible for the discovery of single-celled organisms, which he called animalcules. He also was the first to observe bacteria, spermatozoa, bands in muscle fibers, red blood cells and blood flow in capillaries. Leeuwenhoek felt he was primarily a businessman with an interest in science and not a scientist. He wrote letters to the Royal Society in London describing his observations instead of publishing any particular papers. 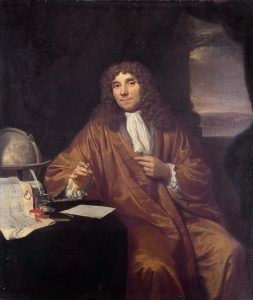 The Royal Society was skeptical of his observations of animalcules and arranged six members to visit Leeuwenhoek to investigate his claims. When they saw the single-celled organisms themselves, his scientific reputation increased. In 1680, he was nominated and elected to join the Royal Society. By the time of his death in 1723, he wrote over 550 letters to the Society. The Royal Society published many of his letters as part of the Philosophical Transactions. Leeuwenhoek’s observations made him an international celebrity. He was visited by Peter the Great of Russia, Frederick II of Prussia and England’s James II to look through his microscopes. His detailed observations during the early part of a relatively unknown field of study have earned him the name of Father of Microbiology. 2007 – China launches their first lunar mission. The China National Space Administration (CNSA) launched the first of their Lunar Exploration Program probes, the Chang’e-1. Chang’e-1 was an unmanned spacecraft designed to orbit the Moon and perform detailed microwave mapping of the Lunar surface. The probe orbited the Moon for 16 months before crashing into the surface. The surface maps generated from Chang’e-1 data provided the most detailed 3D maps of the Moon until the Lunar Reconnaissance Orbiter launched in 2009. Fun fact: Chang’e was named after the Goddess of the Moon, Chang’e. 1932 – Pierre-Gilles de Gennes was born. Gennes was a French physicist who was awarded the 1991 Nobel Prize in Physics for generalizing methods to study order phenomena of simple systems to apply to complex forms of matter such as liquid crystals and polymers. Liquid crystals are called liquid crystals because they can flow like a liquid, but can line up and order themselves like a solid crystal. De Gennes adapted principles and equations from superconductivity to describe the behavior of liquid crystals. 1911 – Nathaniel Wyeth was born. 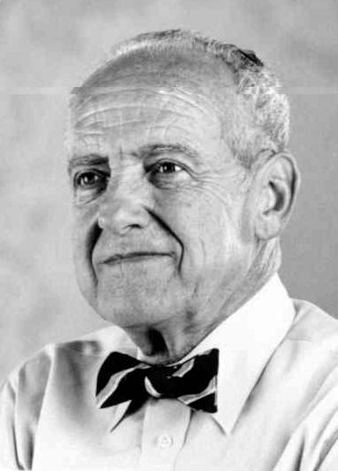 Wyeth was an American mechanical engineer who is best known for the invention of the PET plastic bottle. He was looking for a plastic that could contain carbonated beverages and used polyethylene terephthalate (PET) to solve the problem. PET bottles are recyclable and widely used throughout the world for both carbonated and non-carbonated drinks. 1804 – Wilhelm Eduard Weber was born. 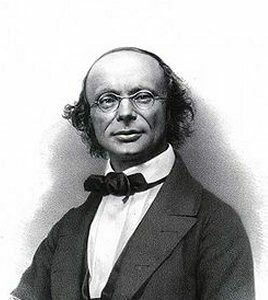 Weber was a German physicist who developed the first electromagnetic telegraph system with Carl Gauss. He also developed a system to measure electric currents and studied the magnetic field of the Earth. He and German physicist Rudolf Kohlrausch showed the product of the electrostatic permittivity and electromagnetic permittivity was close to the square of the speed of light. Their paper was also the first to use the variable ‘c’ for the speed of light. The weber is the SI unit measuring magnetic flux is named in his honor. 1632 – Antonie van Leeuwenhoek was born. 1601 – Tycho Brahe died. 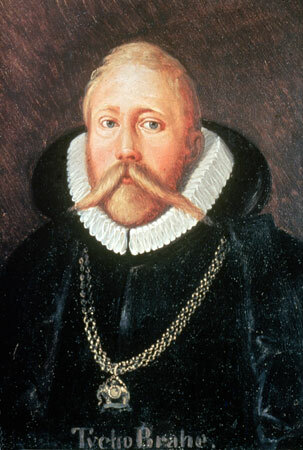 Brahe was a Danish astronomer who developed instruments to measure the positions and motions of stars and planets before the invention of the telescope. He cataloged over 700 stars with a high degree of accuracy using a nine-foot armillary sphere and his fourteen-foot mural quadrant. He also measured the positions of the known planets which became the data his assistant Johannes Kepler used to determine his laws of planetary motion. Another consequence of his accurate measurements was the appearance of a new star appearing in the constellation of Cassiopeia. Aristotle’s teachings maintained the heavens were eternal and unchanging and the prevalent theory of the time. The new star was widely believed to within the sphere containing the planets and Moon, but Tycho’s measurements of parallax put the new star into the celestial sphere with the other stars. Today, we know this new star, or de nova stella, is the remnants of the supernova SN 1575. Tycho is also known for having lost his nose during a duel with a distant cousin after quarreling at a wedding. He wore a prosthetic nose made of brass.